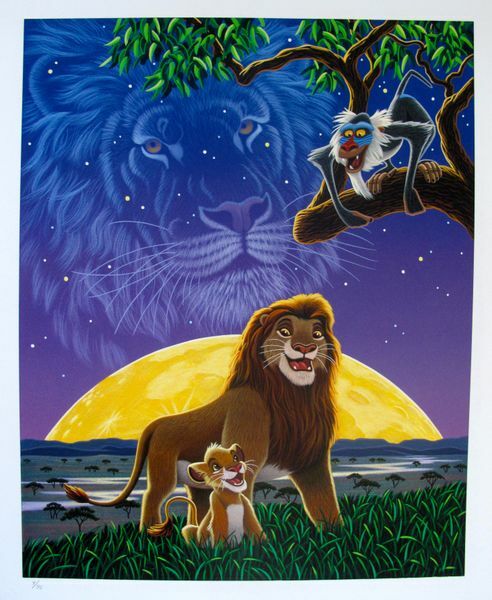 This is a Disney serigraph of Simba, Mufasa and Rafiki from THE LION KING by William Schimmel. 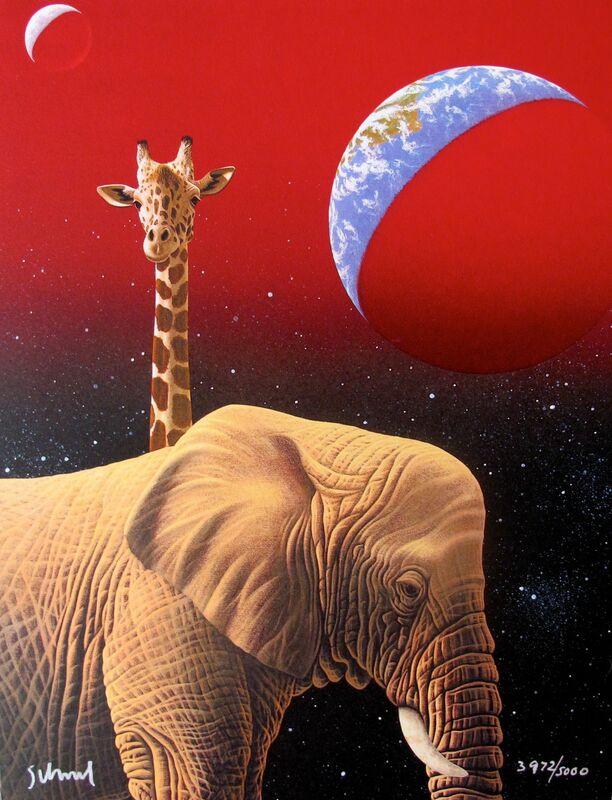 This is a hand signed giclee on canvas by William Schimmel titled Candle in the Window. 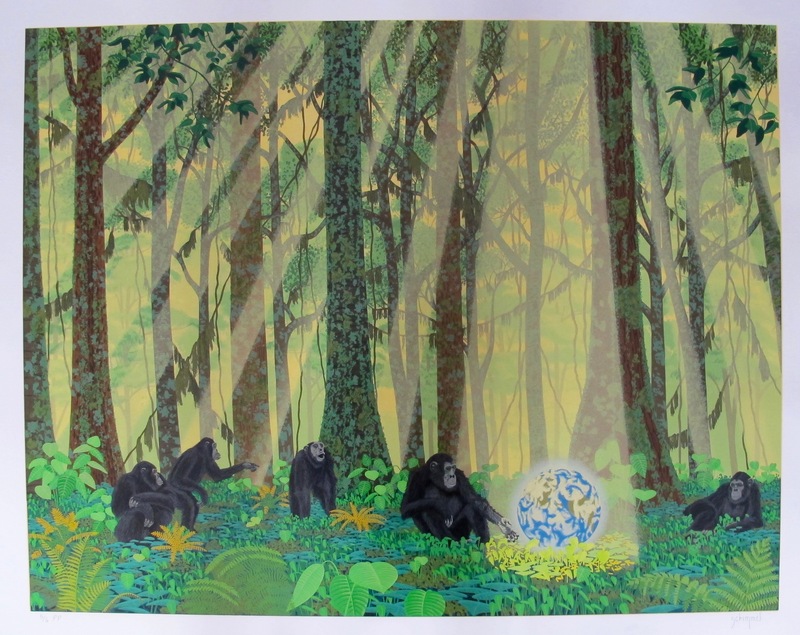 This is a hand signed serigraph by William Schimmel titled “Chimp Earth”. 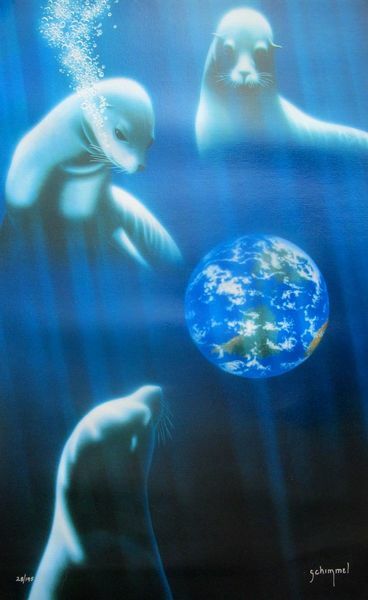 This is a hand signed giclee on canvas by William Schimmel titled Ocean Home. 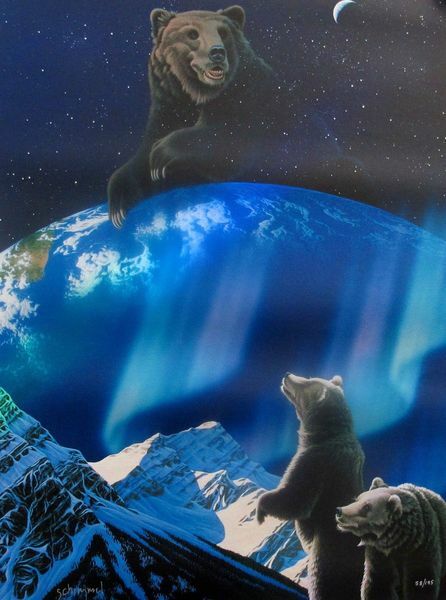 This is a hand signed serigraph by William Schimmel titled “OUR HOME TOO” (I). 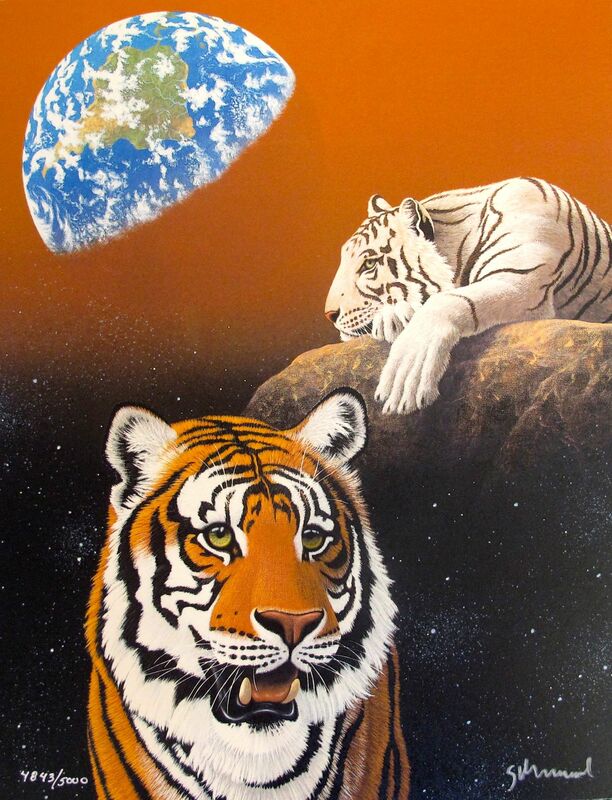 This is a hand signed serigraph by William Schimmel titled “OUR HOME TOO” (2). 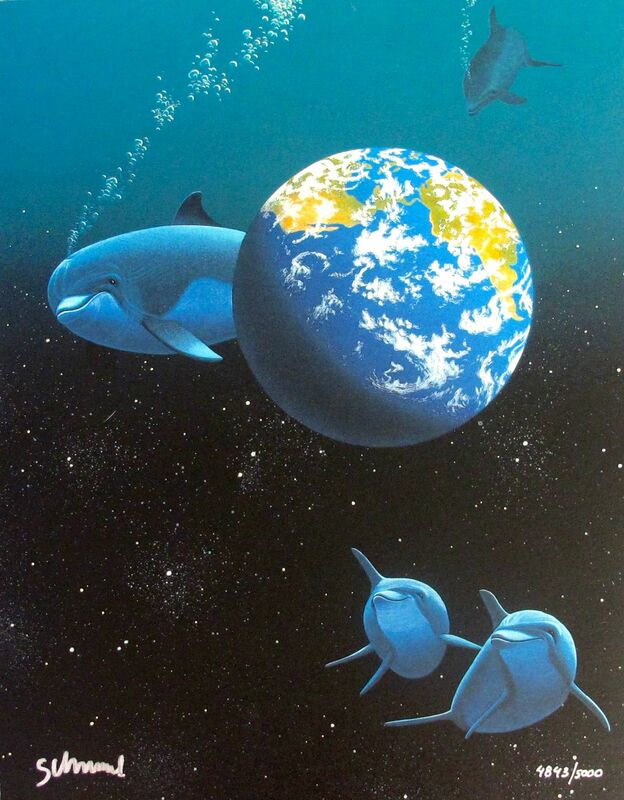 This is a hand signed serigraph by William Schimmel titled “OUR HOME TOO” (III). 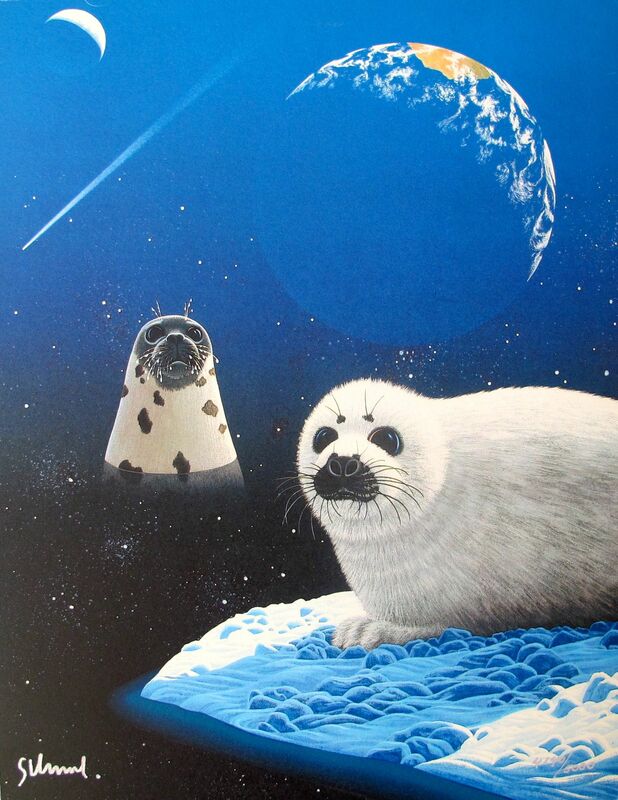 This is a hand signed serigraph by William Schimmel titled “OUR HOME TOO” (4).